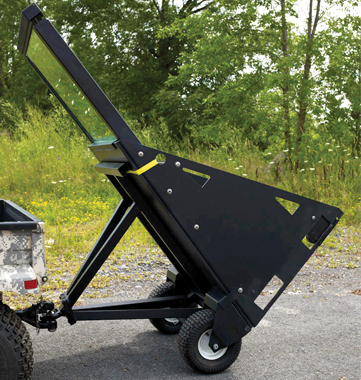 Tow Bar | Defenshield, Inc. The Tow Bar accessory is an attachment designed for MDFPs with ATV tires, which enables the unit to be towed with a vehicle. 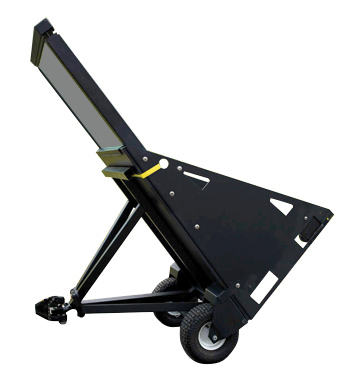 Available in pintle ring or 2-inch ball receiver configurations, the Tow Bar makes it quick and easy to move the MDFP short distances, such as across a military base, for use at another location. Utilizing the MDFP’s existing tires for mobility, the Tow Bar assembly attaches to the unit’s ATV tire axle. This attachment requires no tools and can be completed in approximately one minute. Once attached to a vehicle, the MDFP can be towed at speeds of up to 10 miles per hour. The Tow Bar and MDFP are designed for off-highway use.